When two-time gold medal Olympic diver Sammy Lee disappeared for several days this past April, the issue of personal and historical memory took on increased importance. Suffering from the onset of dementia,the famed Korean American diver was tracked down by investigators, finding him safe and sound in Pico Rivera. While Lee’s diminishing memory serves as a testament to the individual tragedy that dementia imposes on millions of people around the world, it also highlights Lee’s place in historical memory, particularly that of Southern California. Few individuals serve as a through line for Southern California’s racial politics and the impact of Cold War America on its Asian American residents, than Sammy Lee. Even with the endorsement of his fellow students and his father’s advice, discrimination hounded Lee. The Brookside Pool in Pasadena only allowed Lee to use its facilities one day a week, on Wednesday — the only day non-whites were permitted to swim; in fact, Wednesday just happened to be the day before the weekly pool cleaning. This was initially established for Pasadena’s local African American population, though by the 1930s, SoCal’s racial diversity included Asian and Latino Americans, leading officials to dub it as “International Day” — perversely framing segregation as some sort of cosmopolitanism. So how did Lee train for the Olympics? 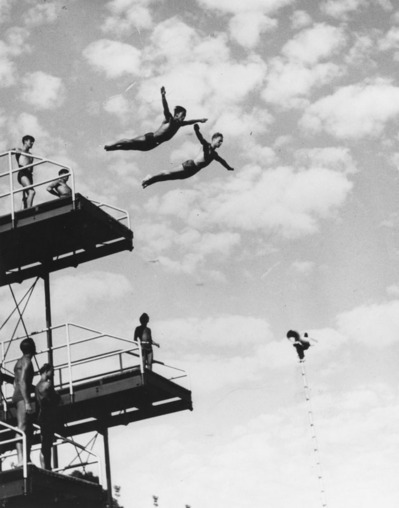 His coach, the indomitable and notably un-PC Jim Ryan, dug a large hole in his backyard and filled it with sand so that Lee could practice his diving technique when pools remained off limits or unavailable. It worked. 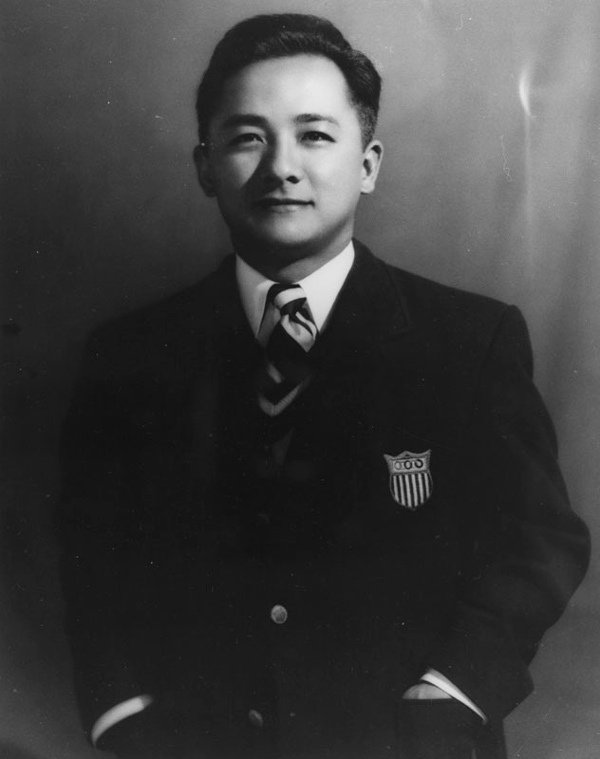 Lee won Olympic gold medals for diving in 1948 and 1952, becoming the first American of Asian heritage to do so. Academic success soon followed. Lee graduated from Occidental College and later earned a medical degree from USC. 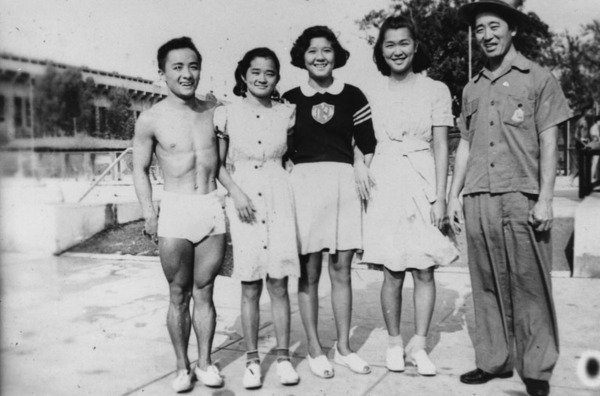 With two gold medals under his belt, by the mid-1950s, Lee hoped to establish a medical practice in Santa Ana, but doctors in the area spoke disapprovingly of Lee’s future and local developers in Garden Grove refused to sell a home to Lee and his Chinese American wife. Unfortunately, outlying suburbia, particularly regions like Orange County — where many of the white families that were replaced by non-whites, in neighborhoods like Crenshaw and Leimert Park, had moved — employed much stronger racial restrictions and housing covenants than those in Los Angeles County. Acceptance did not immediately emerge. However, the same nation that interned its Japanese American population looked outward at the postwar world and feared what it saw. As the international community divided itself between the communist USSR and the democratic United States, Americans began to worry that communist accusations of racial discrimination within the United States, especially toward Asian Americans, threatened Cold War imperatives. Much like its northern California counterpart, the aforementioned Orange County community of Garden Grove struggled with similar impulses. But in the ether of Cold War America the region’s anti-communist fervor collided with its entrenched racial biases. Still, the vestiges of anti-Asian racism remained. One of the white salesmen who turned the Lees away noted that he preferred the family to many white families already residing in Garden Grove, “but if you have one – a nice one – then you’ll have others, including a little guy from a produce market who smells like hell.” 7 Homeowners noted they could care less about a “Chinaman” moving in, but that the new family would reduce property values. Cold War tensions legitimized Asian American housing integration, but whites soon used the fact that African Americans rarely followed Asian American housing integration, as a reason to accept it. With the rise of Model Minority tropes that privileged Asian Americans ultimately serving as a tool to discipline other racial and ethnic groups, greater numbers of white Californians accepted this accommodation of racial change. Brooks describes this shifting attitudes of Californians as “historical amnesia,” as they now scrambled to nullify previous arguments that Asian Americans might lower property values. Asian values, white Californians argued, now reflected their own. By the mid- to late- 1950s, many white California homeowners promoted the ways in which “Oriental values” aligned with their own, and contrasted them with what whites believed to be the political militancy and absence of values they attributed to other minority groups, especially African Americans. Asian American integration of California nudged the doors of integration open, but the larger fact remained that Southern California housing remained open to some and closed to others. The contrast between Lee’s fading memory and the “historical amnesia” experienced by Southern Californians of the 1950s and 1960s provide a window into the ways that American ethnic and racial diversity collided, burst apart, and reformed. 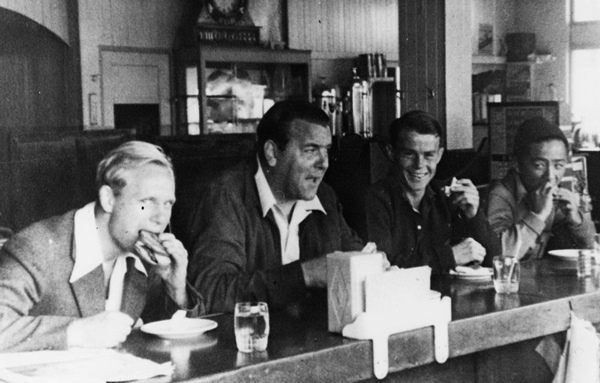 Post 1950s Southern California embraced a new vision of tolerance, but one that seemed as much about negating larger threats by embracing smaller ones. One hopes that even if Lee can no longer remember his vital role in integration battles, that he remains a symbol of how things can change, but also a reminder that often in these sorts of debates, two steps forward are often accompanied by one step back. 1 Jeff Wiltse, Contested Waters: A Social History of Swimming Pools in America, Chapel Hill: North Carolina UP, 2007, pgs. 124 – 125. This article originally appeared on the KCET Departures website under its Intersections column. If you have purchased an older house in California, you often get a nasty surprise and learn that the title to your house includes a racial covenant barring minorities from buying the home. We sometimes forget that racial covenants and housing segregation were a fairly recent phenomenon. Ryan Reft at the Tropics of Meta has posted an article about housing segregation in southern California. 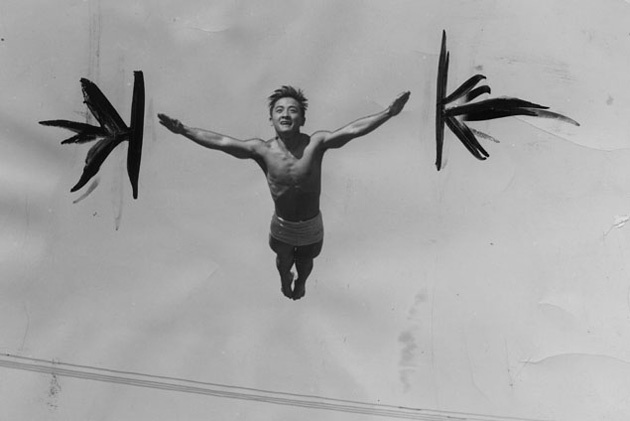 Reft’s piece focuses on two time Olympic diving champion Sammy Lee. 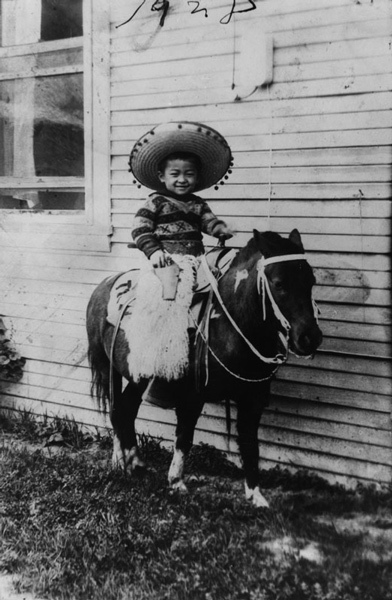 Despite Lee’s international status he still faced difficulties in buying a home in southern California because he was Korean American. Reft describes how the Cold War helped force neighborhoods in southern California to integrate in order to avoid become propaganda material for the Soviets. He also explains that while white residents were ultimately willing to permit Asian Americans into their neighborhoods, they still fought tooth and nail to keep African Americans out.